Some years back, I was taking cake decorating classes. The first thing they teach you is how to make buttercream frosting/icing. It’s fairly simple with a stand mixer but at the time I didn’t have one. I just had a hand mixer (unfortunately not a KitchenAid one) and after making buttercream with it a few times, it burned out. There was smoke in my kitchen! That’s when my husband said, I know what you want to buy, so you should just do it. I never looked back and I don’t regret it one bit! It took me a while to decide on the color but I finally settled on the pink one, which is a part of the Cook for the Cure® program, a KitchenAid program which benefits breast cancer research and funding in both the U.S. and Canada. It was only fitting because my grandmother had just finished successful treatment of her breast cancer. Who doesn’t love cookies, right? The KitchenAid® Stand Mixer makes making cookie dough much simpler. I’m pretty much obsessed with my brown butter funfetti sugar cookies. Well, because there’s brown butter involved! Have you ever made homemade marshmallows before? Okay, let me backtrack, have you tasted a homemade marshmallow before? 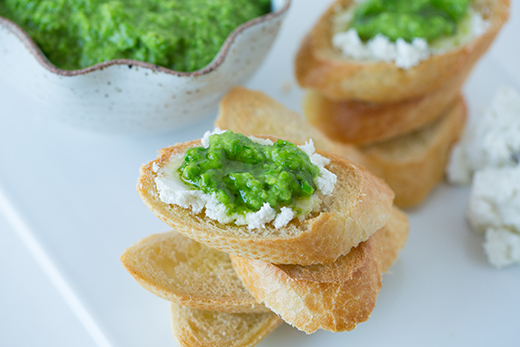 If no, add that to your food bucket list. The first time I had a homemade vanilla marshmallow, it was an amazing experience. So I added making my own marshmallows to my bucket list. I don’t think I could do it without my stand mixer. Seriously. After cooking the liquid mixture on the stove, I just watched while my stand mixer did the work. Anddd once I made them for the first time, I wondered…why it took me so long to make marshmallows at home! Recipe I used is from Shauna Sever. Look at these amazing Cake Batter Marshmallows — added to my list to make soon! On my list of five things I’m scared to make last year. I feel kinda dumb about this one. It’s so easy to make. I can’t imagine doing that hard kneading by hand. I make the dough first in the bowl of the stand mixer, let it rest and then use the KitchenAid pasta attachments. You don’t have to use the attachment but I don’t think I could ever make pasta without it! PS I made a nifty video earlier this year to show you how super easy it is to make homemade pasta! Besides making frosting and making cookie dough, did you know that you can use your stand mixer for short cuts in the kitchen? Mashing potatoes is one of them. Boil diced potatoes in salted water and drain. After draining, I put them back on the stove in the original pot and sit for at least 15 minutes on low. Throw 4 tablespoons of butter into your stand mixer bowl and put in the potatoes. 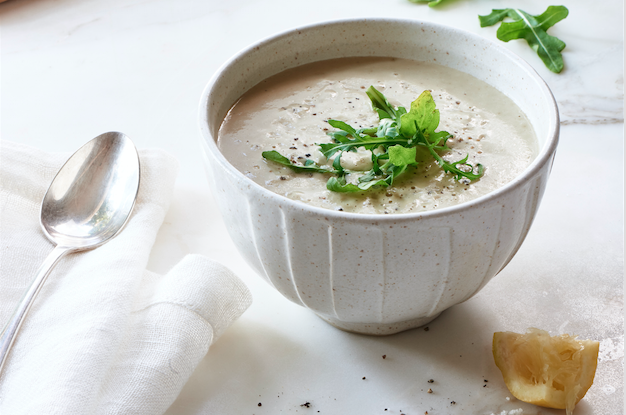 Pour as much milk in as you want and give it a whirl. You can make them as smooth or as chunky as you want. It’s super quick and my go to way to make mashed potatoes now. Shredding chicken is another. I especially love this trick. No more spending 30+ minutes shredding chicken by hand. Be sure to check out Robyn’s recipe for Jalapeno Buffalo Chicken Bites! I love love my KitchenAid® Stand Mixer so much, I can’t imagine a kitchen without one. I use it sometimes five times a week, sometimes just once a week. It’s one of three appliances that demands a presence on the counter of my little kitchen and that says a lot! Not only is it a lifesaver, I love that it’s easy to clean. 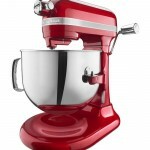 And for my Artisan® Series 5-Quart Tilt-Head Stand Mixer, I love the glass bowl! I have three KitchenAid® Stand Mixers…does that mean I have a problem? 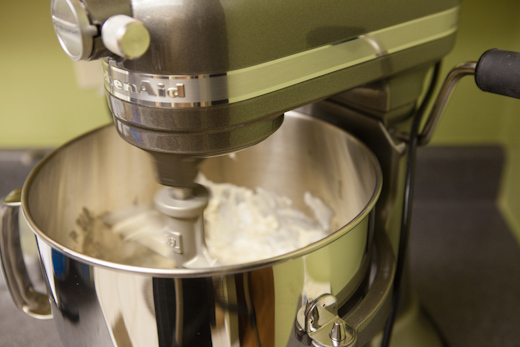 Tell me, what do you like to make with your KitchenAid® Stand Mixer? We have a new rule in the house: If you want sweet, you have to create/make it. So snickerdoodles are my go-to mixer treat. I love making bread dough. I agree with you, once I made the investment, I never. looked. back. Judith, glad you agree with me! I love making bread dough with mine too. It would just take way to long to knead by hand! I have a KitchenAid mixer and I wouldn’t use anything else. For large batches of cookies or large batches of muffins. It has never let down yet. Hi Tanya, I love mine for the very same reasons! Love mine and have had it for over 6 years. It may seem like a little bit of an extravagance, but it will be a bargain in the long run. 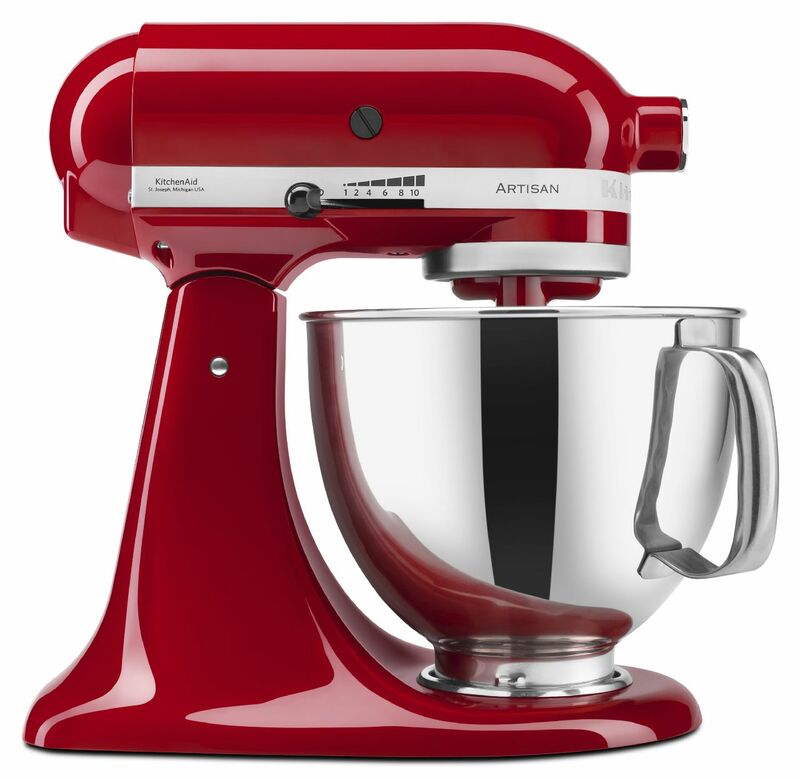 You’ll burn out all the “not a Kitchenaid” mixers and this one will still be making the foods you love. You’ll be happier and money ahead. Watch for sales and remember the Kohl’s 30% discount. I agree with you, Daneen. For some it may seem like a lot in the beginning but if you look how much you use it and come to rely on it…it’s worth the investment and then some! I got mine through HSN – free shipping, payments and no interest. I was 40 + years old …. then, thanks to some of the yummy stuff I made and shared, I opened a cupcake bakery. Now I teach culinary arts at a local high school… All because of my investment in a Kitchen Aid! It is great for making pulled pork. I cooked pork shoulder in crock pot, then carried the crock next to myixer. Just hacked off chunks of meat and just plopped them in the mixer bowl. Added bbq sauce and used the regular metal beater on low speed for 20 seconds. Came out fantastic. I will try that tonight…I have a pork shoulder in the crock pot right now…thanks for the tip….oh, and I got my first kitchen aid mixer a couple of weeks ago. 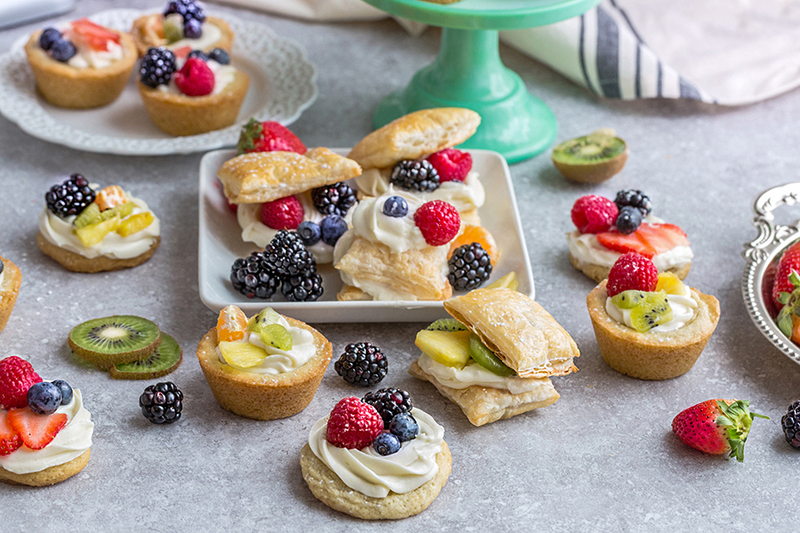 I love all of these ways to use my KitchenAid! If you like the cake batter marshmallows, you should check out my old recipe that has actual CAKE in it! I keep meaning to try shredding chicken with my mixer!! Love that idea! I love this post! And I NEED to make browned butter funfetti sugar cookies…like yesterday! You’ve got my attention! How on earth do you shred chicken with the stand mixer? I’ve used mine for many many things, but this never occurred to me, and now I *need* to know how! Thanks for any tips you can furnish me! Hi Jill, Just throw the chicken into your stand mixer bowl and mix with the flat beater attachment, it’s that simple! Thanks so much for this, Julie! I can’t wait to try it! I haven’t tried it yet, but from what I’ve read, one additional thing to mention… make sure the chicken is still warm (softer) and use a LOW speed. Good to know, Jacqueline – thank you! If you haven’t tried making homemade butter you should give it a whirl. We did it in about 10 minutes tonight. Came out great. I hope you can help me. I just got my first KitchenAid stand mixer and excited to use it. I want to make some candy that is very hard to stir by hand. What blade should I use and what speed? Thanks! Thanks so much for your question! For your candy, you should use the Flat Beater, and try it on either speed 3 or speed 4. Good luck with the candy! Thank you for your reply Rachel. I will try this. I want to make noodles dough with my kitchenaide mixer. What do I do? I heard it is much easier. Hi, Can you help me to make string hopper with my kitchen aid mixer? I purchased a professional stand mixer several years ago from Sur La Table. I have never been able to calibrate the bowl (by turning the screw per the directions ) to have the beater not hit the side of the bowl. Consequently, I’ve never really been able to use it. I cannot locate anyone in business in the Houston area to repair it, and I can’t exchange it. Is there a service option for these? I suspect it is fairly easy to repair. Please email me at rachel.barbarotta@digitas.com. I will connect you with a Customer Service Representative who will be able to help you.